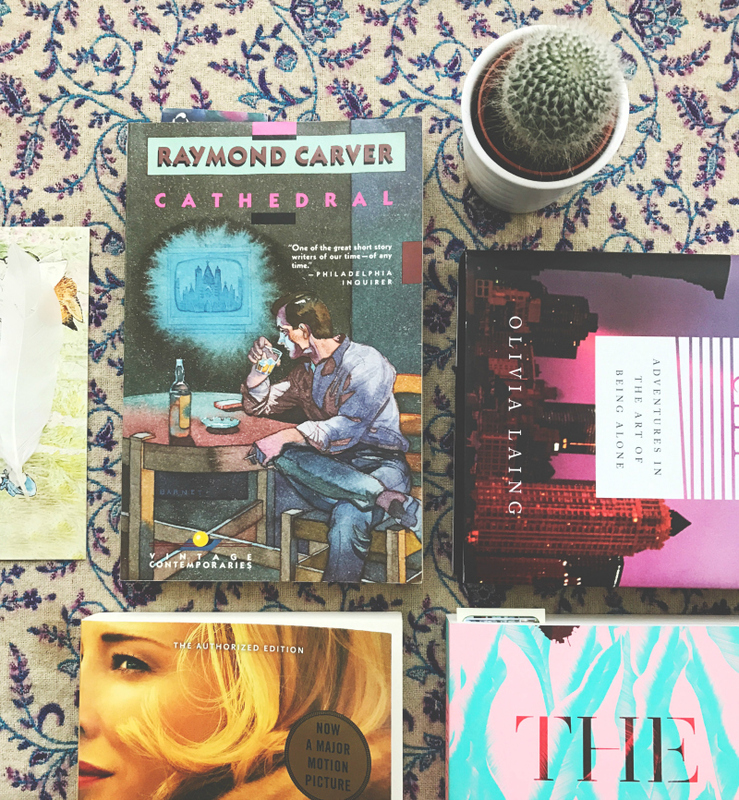 February was a much better reading month, compared to my dry spell in January, so I have five books to share little reviews of for you today! I was transported across America via the underground railroad, sat in therapy sessions, felt heavy with grief, and got caught in an underwater town surrounded by fish. Quite the reading month, really. If you've read any of the following titles, get in touch and let me know what you thought too. Or, alternatively, drop me a message and let me know what you've been reading recently. Let's talk books! Cora is a slave on a cotton plantation in Georgia [...] an outcast even among her fellow Africans, she is coming into womanhood - where even greater pain awaits. When Caesar, a recent arrival from Virginia, tells her about the Underground Railroad, they decide to take a terrifying risk and escape. Matters do not go as planned [...] they are being hunted [...] the relentless slave catcher is close on their heels. Forced to flee again, Cora embarks on a harrowing flight, state by state, seeking true freedom. The Underground Railroad took the world by storm when it ended up on Obama's reading list and was lauded by Oprah Winfrey when selected for her book club and, in my opinion, it deserves the recognition despite the fact that I left it wanting more. 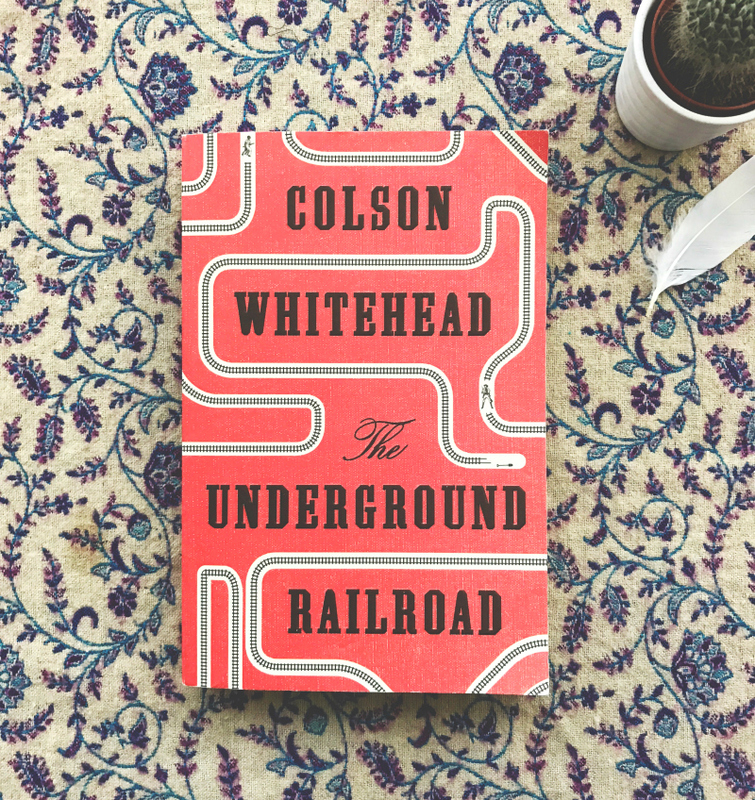 Whitehead manages to construct a novel that is laden with the relentless horror and harrowing reality found in slave narratives, against a slightly re-imagined America where the 'underground railroad' is a literal locomotive that moves fugitives northward. This idea is fascinating and something I would've loved further detail on. How did the activists come together to create it? When did it originate and what voices inspired it? It is clear that this novel has been well cared for and thoroughly researched but, at times, this verged on a negative because it felt a little heavy handed in places. This is not to say that I didn't, for the most part, find this to be a well-balanced novel because I did. However, I wanted more from the characters - from both Cora and Caesar but also from the secondary characters too. I wanted more of their histories and more of their present day, more of their anxieties and more of their motivations. I am greedy, though, so most readers may find that they're sated by the brief portraits that we are offered. I'm not sure. There were also times where I wished that it was a first person narrative, as opposed to third, because I think it would've served to amplify Cora's voice which, at times, felt a little lost to the reader. She was leaving the plantation for the first time in her life. There were new sights, new smells, new people, new opportunities all around her. How incredible would it have been to have her document her experience in her own words, to feel even more pained when she hurt, to feel the full weight of the new world that she was running out into? I appreciate that Whitehead probably went for a third person narrative in order to cover more scope but I can't help but wonder what sort of reading experience we missed out on because of it. He does, however, make some wonderful craft choices along the way. Whitehead is clearly skilled when it comes to structural craft, as we bounce around between anecdotes and time periods with ease - moving from the story of Cora's Grandmother, Ajarry, who was kidnapped in Africa, to Cora's escape beyond the plantation pretty seamlessly. There is one point, in particular, where the bouncing around of timelines is used to huge emotional effect and it really paid off. I cried, quite a lot. This novel deserves the praise it has got, despite my qualms, and my desire to read more, experience more, and listen more is a testament to the story that is told within the pages. 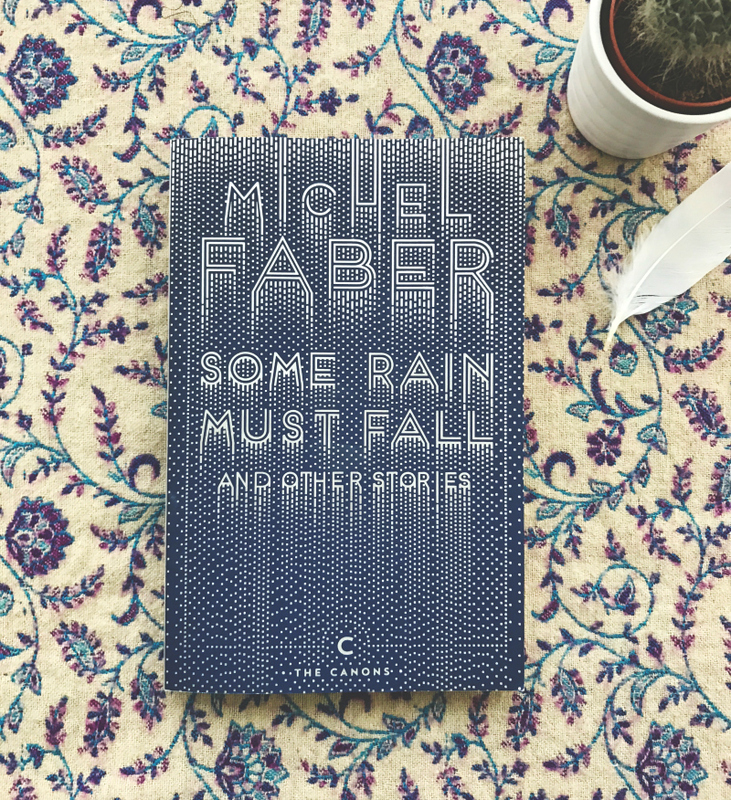 Michel Faber's short stories reveal an extraordinarily vivid imagination, a deep love of language and an adventurous versatility. Playful, yet profoundly moving, wickedly satirical yet sincerely humane, these tales never fail to strike unexpected chords. 'Some Rain Must Fall' juxtaposes the tragic circumstances of traumatised schoolchildren with the interior monologue of a teacher/psychologist enlisted to aid their recovery. In the pseudo-sci-fi 'Fish' a mother tries to protect her child in a terrifying world where fish swim through the streets and lurk in alleyways. Faber's debut, Some Rain Must Fall, is a mixed short story collection that displays a glimmer of what his writing was to become but falls flat where memorability is concerned. I began reading this for the Try A Story tag, reading 'Fish' which was a spectacularly surreal story of a mother and child living in a world surrounded by fish. It was weird, yes, but it also signposted Faber's love of the ordinary turned on its head. Whilst less polished than his later works, there were stories here that hinted at the excellence to come with impressive character dynamics, which I consider to be Faber's strongest skill, shining through in stories such as In Case of Vertigo, Some Rain Must Fall and The Red Cement Trail. There were, however, more stories in this collection that I will forget than there are that I will remember. It was, by no means, a bad collection. You can see him take risks here and play with a few different styles and it was really interesting to see him hone his craft across the stories. I have just read other collections similar to this that I liked a lot more, such as St Lucy's Home For Girls Raised By Wolves by Karen Russell or Upright Beasts by Lincoln Michel. Start elsewhere with Faber, maybe with my favourite, Under The Skin, and then come back to these short stories if you're interested in reading more of his work. 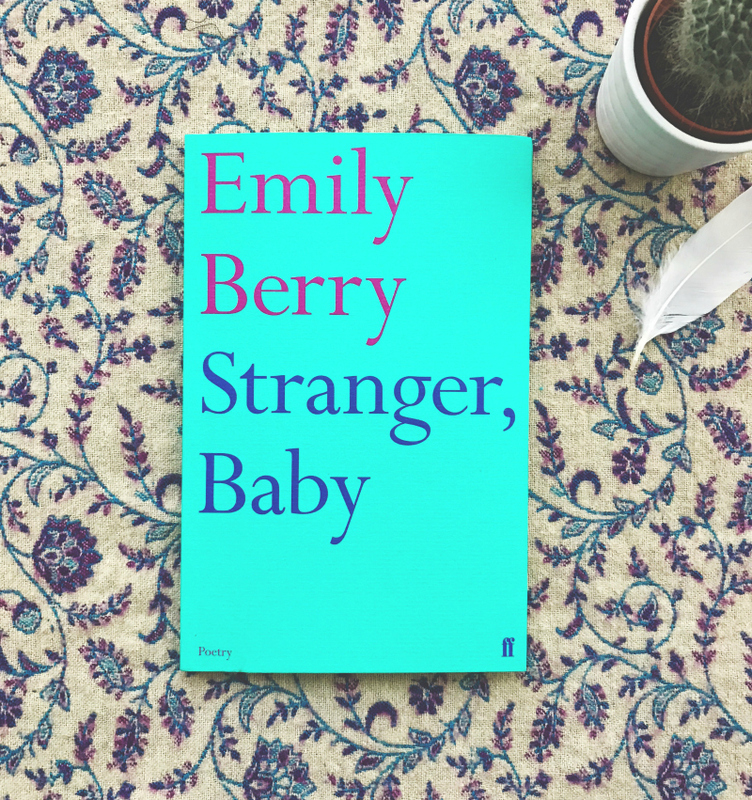 A deeply affecting collection that sees Berry conduct interviews and plays alongside poems. This is a three star read for me, meaning I liked it but didn't love it, as I prefer my poetry to be a little more flowery (?!) but this was great. If you're interested in contemporary poetry or the topic of loss, in general, then you should think about acquiring this. 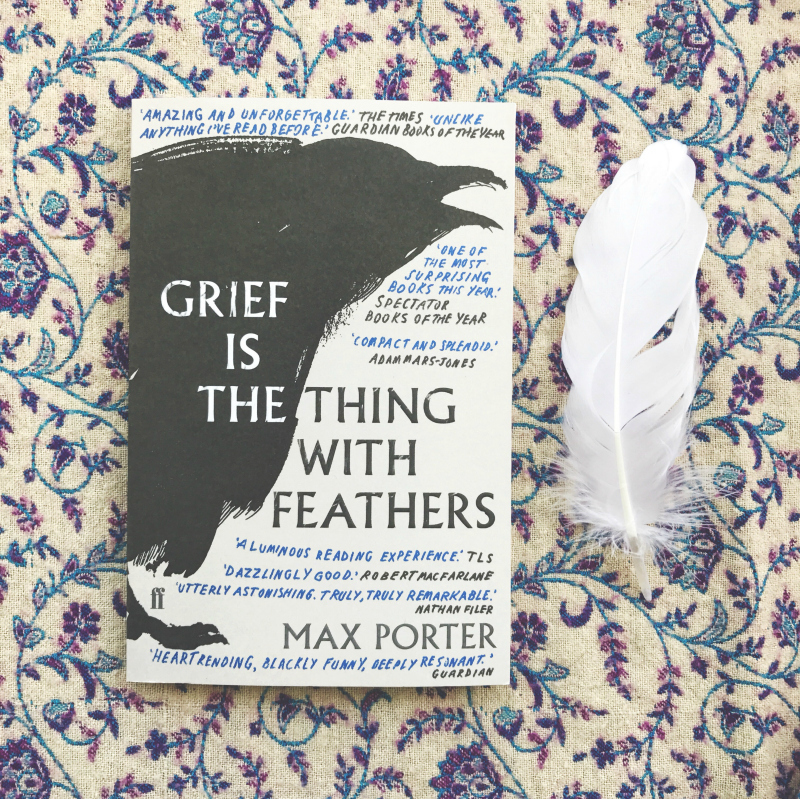 Another meditation on the messiness of grief and loss yet Grief is the Thing with Feathers was so unique in its muddle of form, voice and tone, that it sets itself apart from anything else I have ever read. This novella hybrid deals with the ugly nature of grief and the almost violence of loss - the anger, the guilt and the day-in-day-out misery. It was short, meaning that I read it of an evening before bed, but absolutely captivating! Porter's playful use of language is nothing short of wonderful and elevates the piece to a five star read, for me. The crow, the antagonist that comes to stay with the family, is a fascinating character - making up words and situations as he goes along. He completely stole the show for me! Whilst it sounds a little weird, perhaps, it was also incredibly warm and inviting in its stark realism, which sounds weird to say about a piece that has a crow as one of its narrators but bare with me! The grief felt by the characters was also felt by me as I read it and by the end I had scribbled all over the pages in delight. This was a pleasure to read. A real charm. Read it if you're at all intrigued. Haunting and resonant. Hausfrau explores (some of) the messes of womanhood in a way that I, again, have not read before. Essbaum, essentially, performs a post-mortem, dissecting what it means for Anna to not only be Anna but also what it means for her to be a lover, a wife, a mother, a woman living in a country she wasn't born in, a woman living in a country that communicates in a different tongue, a woman who has wants that she acts upon and doesn't suppress. 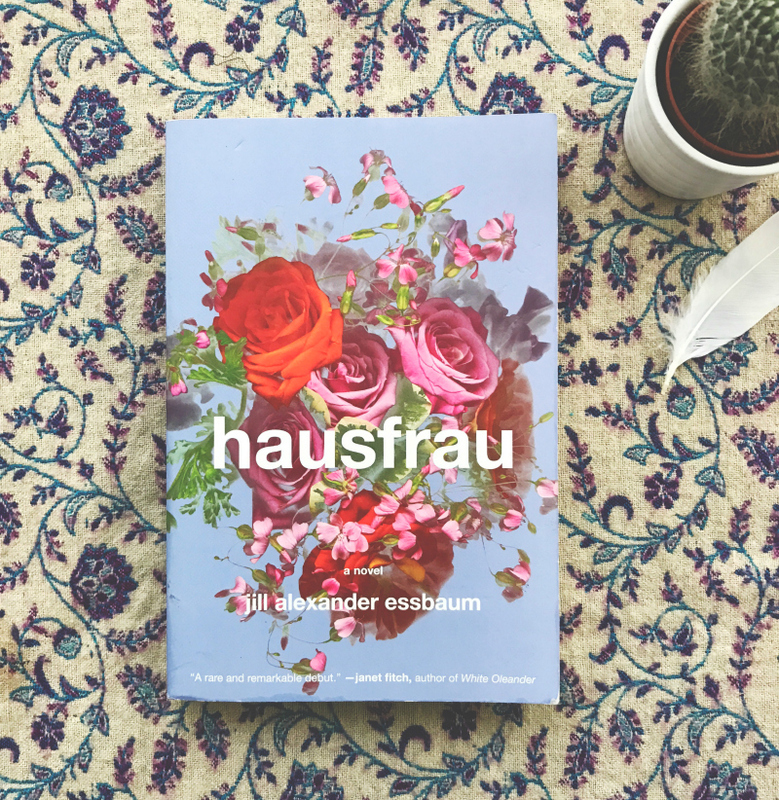 Hausfrau is about desire, isolation, and the chaos that comes with trying to be something to everyone whilst also allowing yourself autonomy. Essbaum is incredibly talented, that's obvious in the way the novel structurally bounces between anecdotes, and time zones, from Anna's therapy sessions to past acquaintances, to family time and back again. The ennui of daily life balanced with Anna's frantic internal mania and the ways in which the two can collide to devastating effect was horrifically real and awakened areas of my brain and lived experience that I had tucked away. The language is as masterful as the structure and is carefully considered meaning every sentence deserves to be there. The lilting poetry of the writing style, too, makes the climax of the novel even more emotive and I came away knowing full well that it is going to take me a long time to shake Anna's story from my mind. Devastating in its fragility, I would recommend Hausfrau to those of you that like really intense character studies, kind of like Eileen, and those of you with an interest in psychology. A portrait of one kind of womanhood that I will think about for years to come. Do this justice and read it in as few sittings as possible. This month I've decided to read some non-fiction, two short story collections and a bit of queer lit. A few nights ago, after 11 months on my 'owned and unread' list, I suddenly got the urge to pull this book down from my shelves. I ended up reading the first chapter there and then by lamplight. This is Laing's meditation on loneliness, partly inspired by her experiences in New York City (a place so populated you'd think it was almost impossible to feel alone) and partly inspired by the world of art. I'm really looking forward to giving this my full attention on quiet evenings. I think I'm going to adore it. I've read the first few stories in this collection, the first for my Try A Story tag, so I really want to finish the rest up. Cathedral has been sat on my shelf since December 2015 so it's about time that I got round to it! I have read two other collections of Carver's short stories and thoroughly enjoyed them in their obliqueness. I'm sure that'll be the case with this one too. The Lucky Ones, featured just last week in a book haul, is a new-to-me and newly-released short story collection but I kinda want to read it whilst there's a buzz surrounding it. I'm about 100 pages or so in and, whilst it's not like much that I've read before, I'm drawn to the way in which Pachico collectively pulls the characters and their stories together. 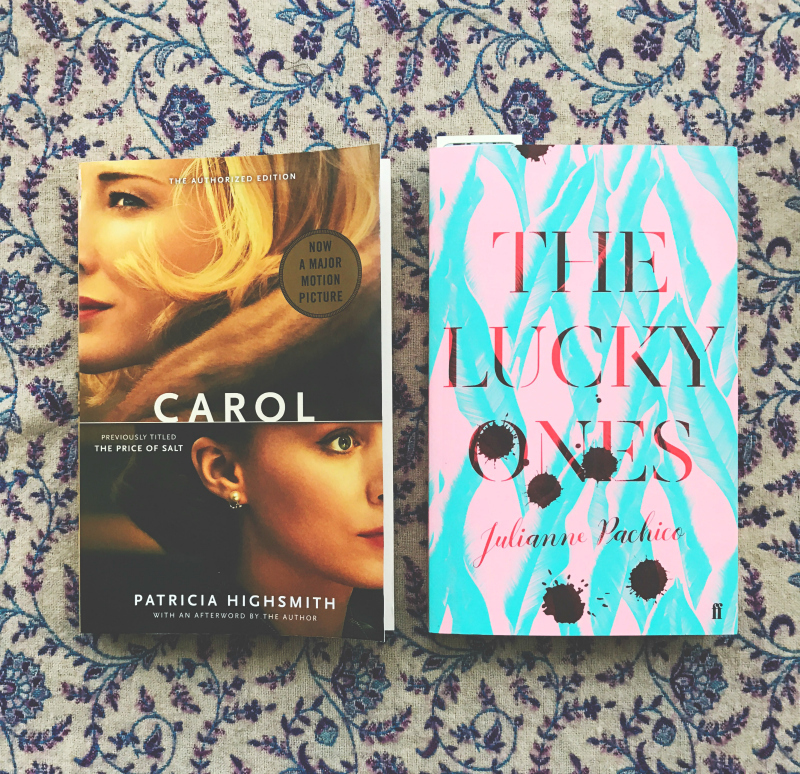 I mentioned just the other day that I want to read one or two of the books in my little Highsmith collection before the year is through and I've decided to start with Carol. I haven't read a lot of queer lit in my time, or at least not as much as I want to, and that is something I want to change going forward. If you've got any favourites, share them with me! So that's what I read in February and what I want to read during March. 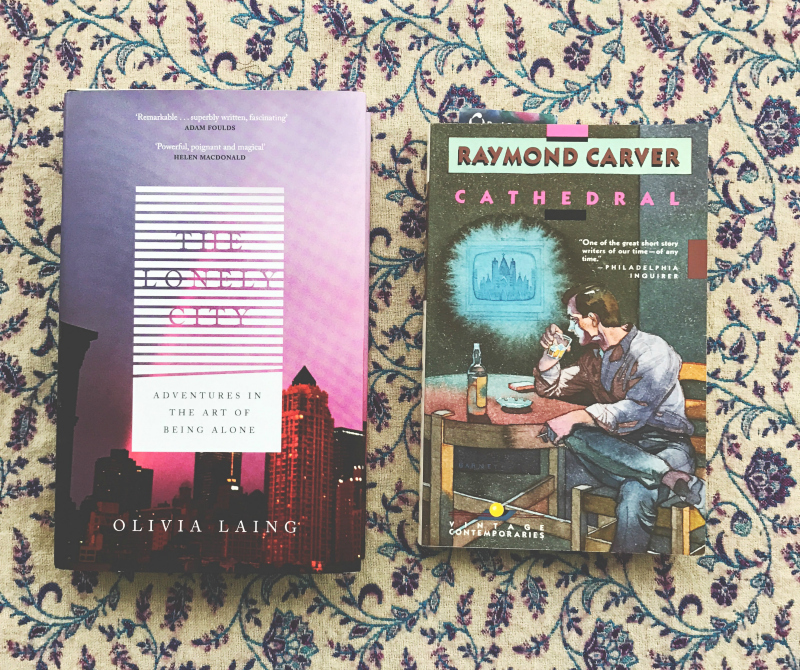 What did you read last month? What do you hope to read this month? If you'd like to scroll through all of my book blog posts then you can. Or, alternatively, you could just flick through my book reviews instead. Great reviews! 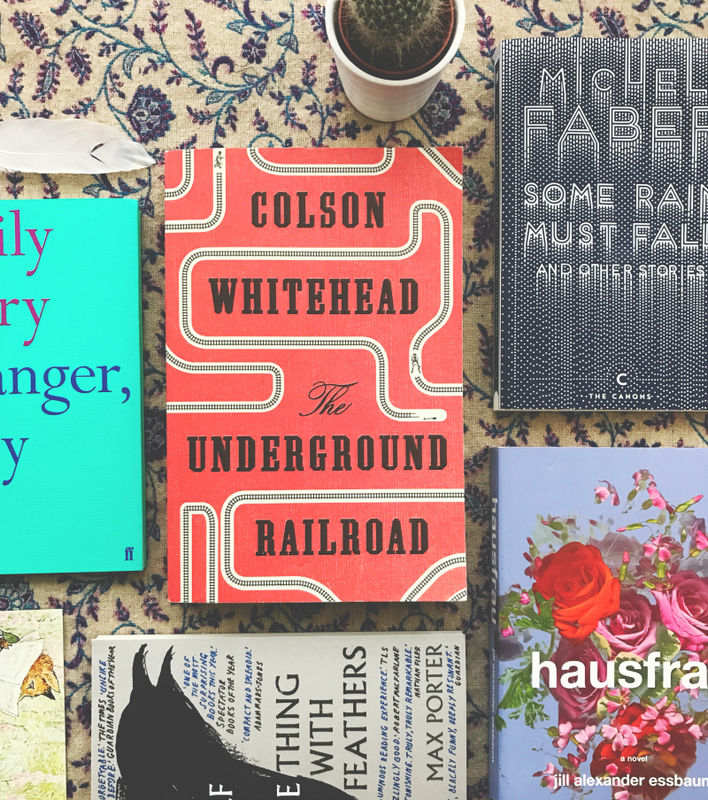 I really want to read Hausfrau, The Underground Railroad and Carol! Hausfrau looks amazing, I've not even come across it before. I loved The Underground Railroad, and I also adore Grief Is The Thing With Feathers. I read it back when it first came out over the space of a day or two and this has made me really want to re-read. I shall have to dig out my copy! I must recommend reading the book The Underground Railroad (Oprah's Book Club): A Novel.